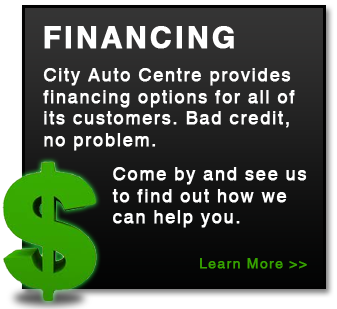 City Auto Centre provides multiple financing options to best help you get behind the wheel quickly and back on the road again. 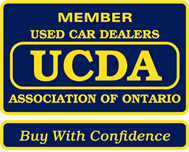 We know that auto financing is an important part of getting that car you want and we understand that it can cause alot of stress to you, the buyer. We try to help you understand the in’s and out’s of your financing options to make sure you get the best rate possible – regardless of your credit history. City Auto works alongside many different lenders, both private and institutions, from some of our nation’s most recognized banks and lenders. Our financing options allow us to “shop” around with these lenders to find you the best rate you qualify for. Even when other lenders might not be offering you a great rate – or any rate at all! – we’re not going to give up. Our in-house financing options will help you to get back on the road just as quick, or if not quicker, than dealing with a national bank. 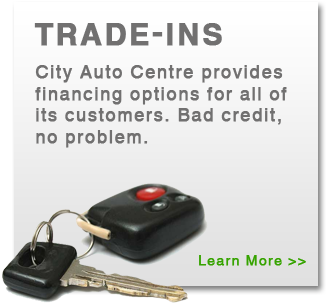 If we can’t get you back on the road with any financing options we’ll give you $500! 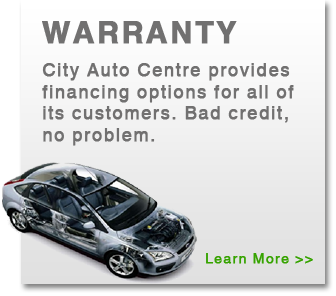 * That’s right – $500 as our way of still saying that we appreciate you coming to City Auto Centre anyways! *Terms and Conditions Apply – must be 18 years of age or older, have a valid drivers licence, valid vehicle insurance, can make payments of $90 to $350 Bi-weekly, and have the required minimum down payment.